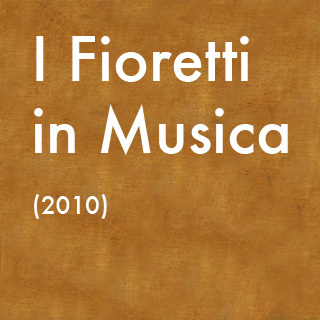 I Fioretti in Musica is an hour-long opera about St. Francis of Assisi, for five singers and live electronics. It is a collaboration with Ryan Carter, who composed the electronic parts. It is based on the 14th-century Italian fable I Fioretti, which relates the life and miracles of St. Francis. 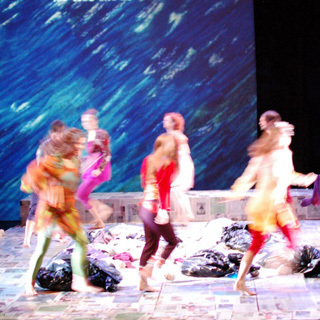 The opera was performed 12 times in New York City in the fall of 2010 at La MaMa Experimental Theater in the East Village, Manhattan. Watch video excerpts of the opera. The story of St. Francis is told in four acts, each one a musically and theatrically independent vignette. The first describes the young Francis' conversion to a life of poverty and service. The second has St. Francis preaching to the birds. The third shows him saving the wolf of Gubbio from being killed by townsfolk. The final act presents an older St. Francis offering hospitality to three notorious thieves. The piece was staged by Gian Marco Lo Forte and produced by the theater company Pioneers Go East. St. Francis is cast as a homeless person in modern New York. To recall an urban environment, the decor makes use of trash bags and shopping carts, as well as bird-shaped puppets recycled out of garbage.